When news broke that Sting and Shaggy had popped into the studio together, some were elated, and some were incredulous - yet no one could ignore. Every one in the Clash office had an opinion, and with news trending globally it seemed as though our arguments were being repeated all over the world. Full studio project '44/876' was released earlier in the year, a curious object that counts as one of the year's more remarkable entirely unexpected albums. The pair are on tour right now, although Sting has sadly been under the weather over the past few days, cancelling a concert in the United States. 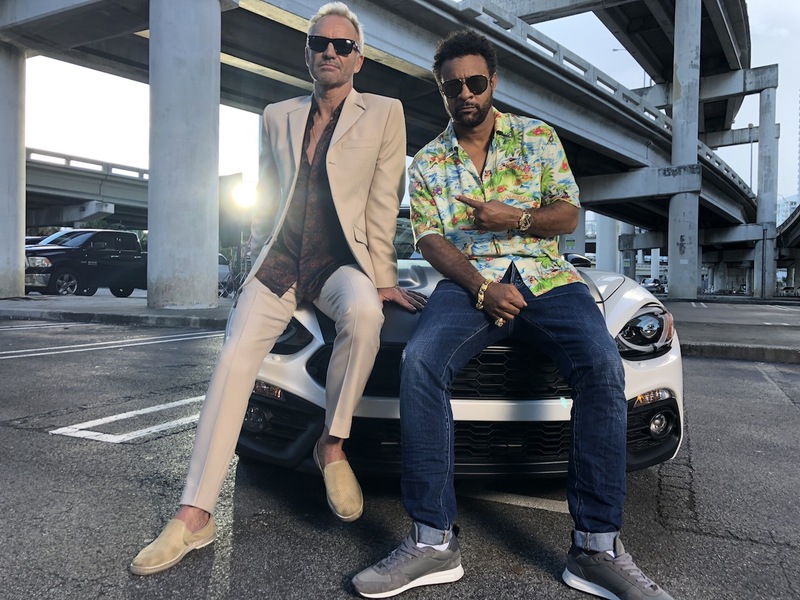 To make it up to fans Sting & Shaggy have decided to unveil their latest video, focussing on album standout 'Gotta Get Back My Baby'. Opening in a staid office, the duo's entrance sparks jubilant scenes, before it becomes clear that Sting & Shaggy are cops with a difference. A pastiche of the copy buddy movie genre - we're thinking Lethal Weapon here - it's a tongue in cheek but gloriously entertaining return.